Orlando International Airport is full of special treats for shoppers who, like me, are always on the lookout for inexpensive, somewhat offbeat, small treasures. 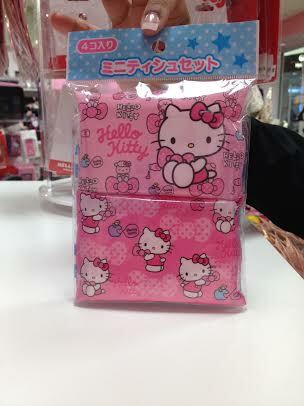 In addition to the treats from the airport’s Kennedy Space Center Gift Shop I featured yesterday on Snack Saturday, during my recent visit at MCO I found these two Hello Kitty items in the Sanrio store. 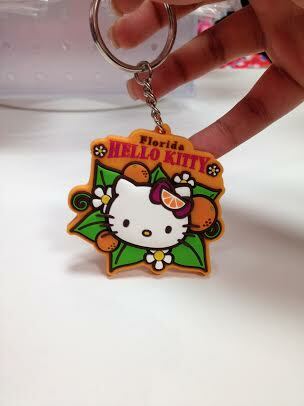 The orange Hello Kitty key chain fulfills the “something-related-to-a-trip-to-Florida” category and the tissues are just cute and useful. And, of course, any time spent at Orlando International Airport offers a chance to look around at the airport’s eclectic art collection, which includes work by Jacob Lawrence and this “double-take” sculpture called “The Traveler” by Duane Hanson.